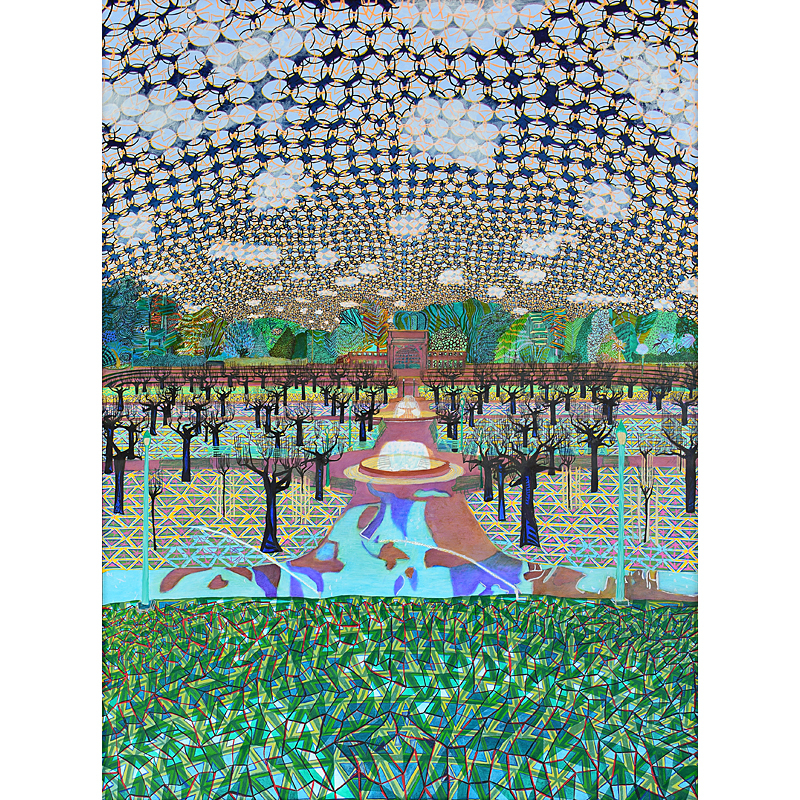 One of three paintings from the Golden Gate Park Music Concourse tryptic. This painting represents Music. At the far end of the Music Concourse is the Spreckels Temple of Music.